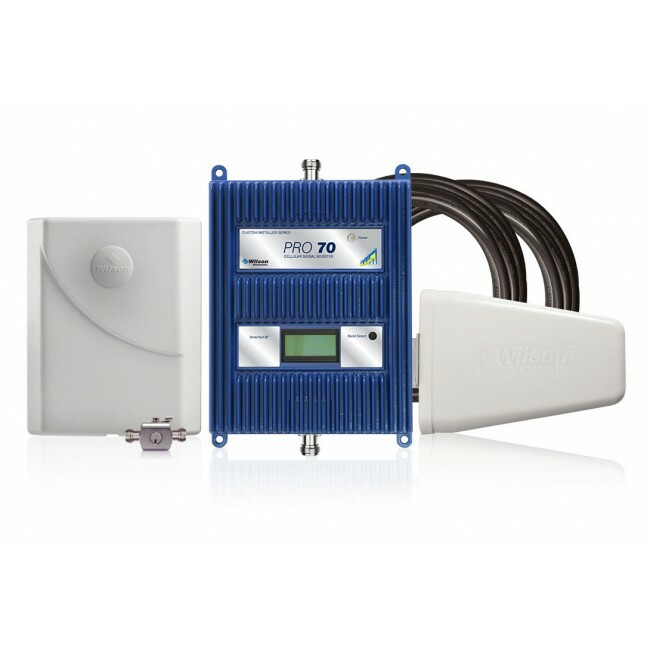 The new Wilson 461104 AG Pro Quint is one of the first true 5 band signal booster systems on the market. It replaces the previous AG Pro Quint and Quint-Selectable as the top of the line signal booster from Wilson Electronics and is sure to be one of the most popular products in 2014. At UberSignal, we wanted to dive into this brand new kit and give you a better look at what to expect with the new AG Pro Quint. The Wilson 461104 AG Pro Quint is capable of boosting the 2G, 3G and 4G LTE networks for the major carriers in the United States, including AT&T, Verizon Wireless, T-Mobile, Sprint, and US Cellular. With a strong outside signal, the kit is able to boost signal inside a home, office or building up to 20,000 sq ft, with that number diminishing as the outside signal gets weaker. 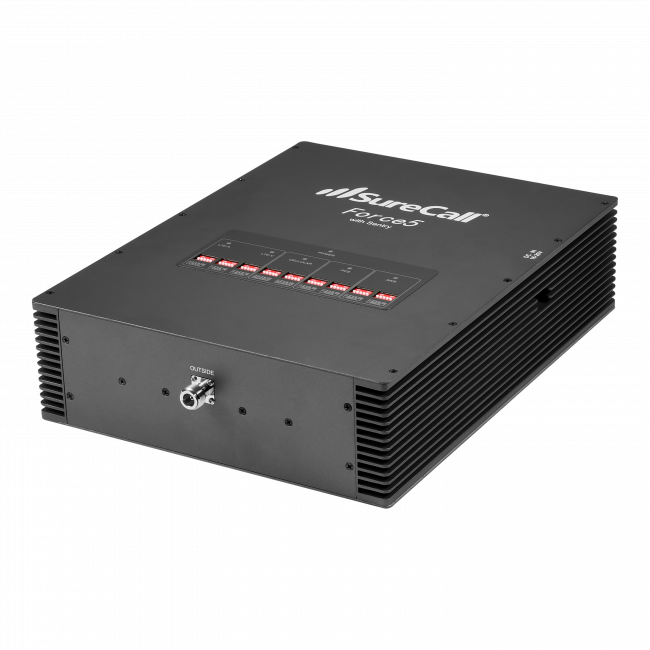 The amplifier is the first one certified against the new FCC standards for cell phone signal boosters, which go into effect on April 30, 2014, and contains special carrier protection safeguards which are meant to prevent interference with carrier networks. It also has amplifier gain controls for each frequency band that it boosts, so you're able to independently control the amplifier strength on a per frequency basis. 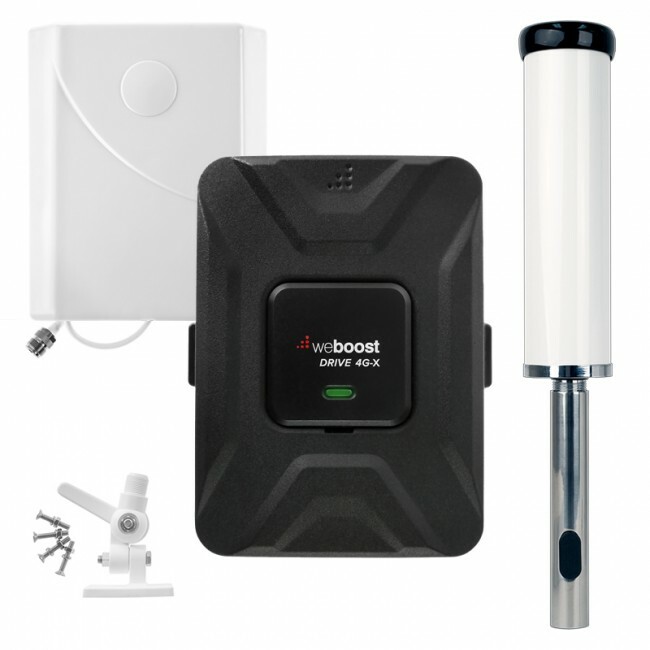 Overall, the Wilson 461104 AG Pro Quint signal booster kit will boost pretty much any cell phone signal it receives and should be able to handle the majority of situations where cell phone signal boosting is needed. The strongest outside antenna available from Wilson Electronics. This allows you to target one or multiple towers located in the same general direction and maximizes the coverage area from those towers. Ultra low loss LMR400 coaxial cable that connects the Yagi directional outside antenna to the amplifier. The strongest FCC certified amplifier available from Wilson Electronics. Will boost all networks from all major carriers in the United States. Ultra low loss LMR400 coaxial cable that connects the amplifier to the inside panel antenna. Inside panel directional antenna which can be located on a wall facing down a long, narrow space or on the ceiling in the middle of the space which needs boosted signal. Very versatile and supports all frequency bands boosted by the AG Pro Quint amplifier. Power supply for the AG Pro Quint amplifier. Provides information about the kit itself, installation instructions, troubleshooting options and more. *Due to the new FCC guidelines for signal boosters, all certified signal boosters must be sold as a kit and cannot be broken up into its components. You will have the opportunity to purchase additional components, such as additional inside antennas, as you can see in the Accessories section below, but you will not be able to substitute components in the existing kit. While the AG Pro Quint kit comes with everything you need to get started, there are a few additional accessories you may want to consider. If you live in an area of the country which receives regular thunderstorms and lightning, you may want to invest in a lightning surge protector to prevent built up static charges from potentially frying the amplifier. The lightning surge protector kit comes with a gas filled surge suppressor that screws right on to the cable coming from the outside antenna and a 2 ft cable that connects the suppressor directly to the amplifier. The external yagi directional antenna is meant to be mounted to a vertical pole on the roof of the building. While an old TV antenna or existing mast will suffice, the pole mount assembly is a cost effective way to install a small, vertical pole to mount the yagi directional antenna to. If you have a situation where you're trying to boost the signal down a long, narrow space or in multiple locations that are separated by a brick/block/metal wall, then having multiple inside antennas is the solution. Multiple antennas allows you to better craft the boosted signal to fit the space that you need coverage for. 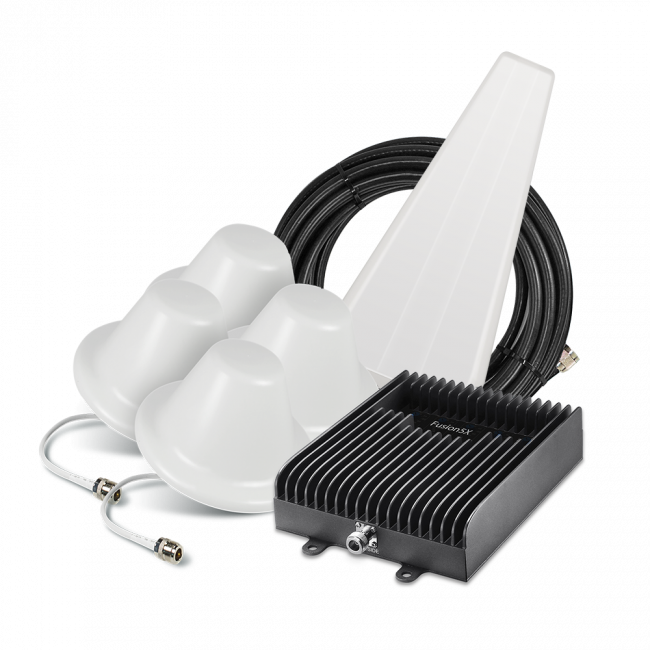 The add-on panel kit gives you everything you need to add an additional antenna to an existing AG Pro Quint installation. The Wilson 461104 AG Pro Quint signal booster kit is currently shipping in limited quantities, so we recommend putting in your order today to get in the queue to have your order fulfilled as soon as possible. If you have any questions about availability or the AG Pro Quint in general, please do not hesitate to contact us. Live in slightly remote area (stoneman lake, az). Very very poor cell reception there. If I travel 3 - 4 miles up to the ridge....I can use the cell or send emails. I do occasionally receive 1bar.....and may have to wait hours just to send a simple email from my location...but can NEVER use the phone. Although the location is in the higher elevations (6500') the lake itself is shaped like a bowl....with most residences at lake side. Nearest cell tower is on I17....maybe 10 miles as the crow flies. My carrier...Straight Talk...ie Verizon. Any suggestions....besides the 4 mile hike daily to the ridge? Last but least....this forested area is in the high fire danger zone....with no way to receive warnings.....or forest service updates....so personal safety is also a concern. Really could use a "Pro's" advice. Thank you in advance for your help. Thanks for your note. We tell people that if they can receive some signal from the roof of their house, enough just to send a text message, than you usually have enough of a signal for a signal booster to help you. It sounds like you're right on the edge of that so it may be worth a try. Typically with a weak existing outside signal, we recommend using directional antennas. However, if you're in a bowl/valley without anything close to line-of-sight to the tower, a directional antenna isn't alway better. Let me know if you think you have line of sight to the tower or if you could get it from above your roof. Also let me know if you're more interested in a small/inexpensive solution, if you want something very powerful that gives you the best chance of success, or if you're somewhere in the middle.